Think this is a really good price for a great baby item! 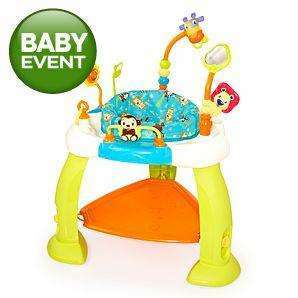 Smaller than jumperoo so great if you dont have much space but same principal! oh - free delivery to store too!! Thanks for posting, good spot I've also added a pic for you. thanks, im not too hot with the pic adding just yet!! Good price, thanks for posting. Thanks,ordered one to store !